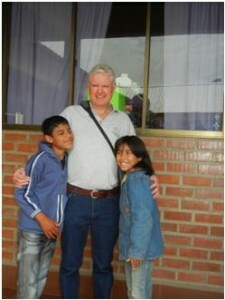 Maurice Walsh with two Bolivian friends. Long-time Canadian Feed The Children supporter Maurice Walsh has made it his business to see the work he’s been funding up close and personally. Maurice and his wife Gloria have travelled with CFTC to several of our project locations, most recently, to Bolivia in 2011. Their first trip with CFTC was to Ethiopia in 2008. Maurice has had much success in his life as an independent business person (he co-owns a crane service and transportation company in Alberta), and he recognizes that giving of the “fruits of his labour,” i.e., making a financial contribution rather than one of time or talent, is the best way that he can fulfill what he sees as his humanitarian obligation to help others in need. Maurice feels that it is important to see first-hand the work that he and his wife Gloria are supporting, and found their first trip with CFTC to be eye-opening. “It gives you exposure to a world many of us here in North America never see. For a long time, I simply opened up my pocket book, but to go and really understand what poverty is all about is a very different thing. We have ideas, we can guess, we read the media, but to get your feet on the ground, it’s a completely different thing. We asked Maurice to reflect on some of his most powerful memories from his trips and their overall impact. “When I first went to Ethiopia, I didn’t know what I would find. I didn’t know if I would come home disappointed or more enthused. I was worried that if I didn’t like what was being done with my money, I’d be like a kid finding out there’s no Santa Clause. Maurice went on to tell a story of meeting one of the early Ethiopian Self-Help Groups – savings and credit groups that help women, in particular, establish themselves with income-generating opportunities. The grassroots, community-led development that these groups offer is something in which CFTC and its local partners in Ethiopia (as well as in Uganda and Ghana) continue to invest. 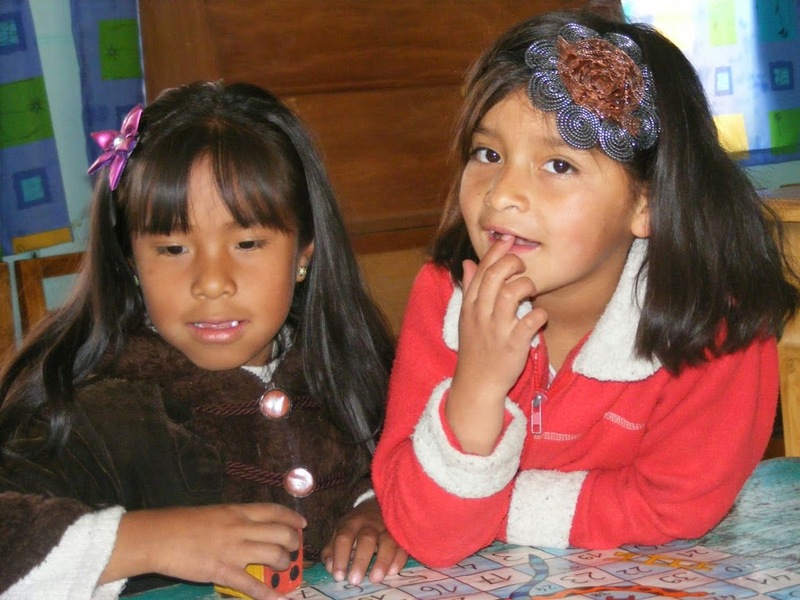 They are critical to provide the most impoverished parents with a means to provide for their children, gain social support, business skills and literacy training. Thousands of people, more than 80 per cent of whom are women, are benefitting from these groups and lifting themselves and their families out of poverty as a result. “We met a group of ladies who had been taking their grain into the local town, getting it milled in very small quantities at a time, and paying local outlets a very high price for it. With the money that CFTC gave them [through local partner, ISAPSO], these women were able to purchase their own grinding mill, grind their own grain, and save the cost of getting it done somewhere else. They were able to set up their own enterprise and grind grain for other people. “It was amazing. These ladies had never had a bank account, never had a penny, didn’t know anything about it. They were so proud, showing us their bank books; so proud of the 15 or 20 cents a week they were able to put aside, and of having a dollar or two in the bank. When we visited, they were busy making collective plans for what they were going to do next. What advice would Maurice give to others who are considering whether to support an international development organization like CFTC? “‘To whom much has been given, much is expected.’ We have an obligation. We can say that everyone’s born equal, but some are more equal than others. We can’t say that the fifth kid born in a hut in Tanzania has the same chance as the first-born to the “yuppies” here in North America. Personally, I believe there is no comparison between problems in the first world versus those in the third. First-world problems hardly hit the radar in relative terms. You can accomplish so much more to help people internationally. “For example, I was involved in contributing to a dormitory school in India [not a CFTC project]. Volunteer labour built a really nice building in record time for around $20,000. If I was to do that around here, I couldn’t do it for $100,000. CFTC is grateful for supporters with this broad perspective, and deeply appreciate Maurice and Gloria’s ongoing commitment to our work.